You work hard. You play hard. Which means you need clothes that can keep up—think stuff that looks as good at a FiDi office as it does at a Mission bar. 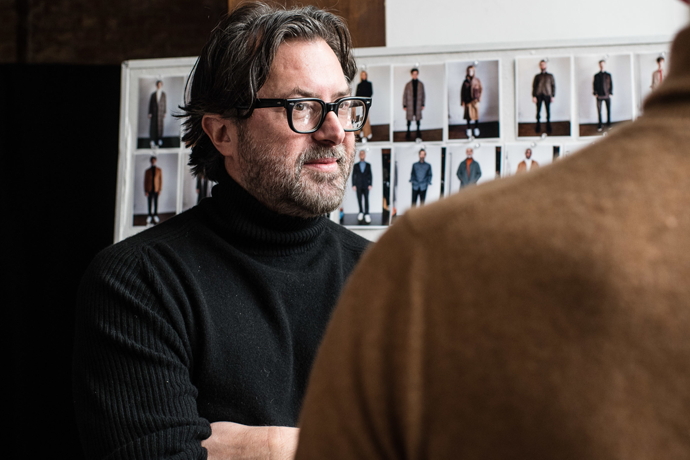 And maybe nobody gets that better than menswear designer Hyden Yoo. Yes, the very same. He used his fifty-grand Factor windfall to get started, and now his full collection is trickling into select SF boutiques. His shirts look great tucked in or out thanks to a narrower fit and a slightly shorter cut than traditional dress shirts. His dressed-up khakis feature contrast lining at the pocket edge, which should earn you praise as a man who pays attention to the details. You'll also find vests and sweaters, plus two jackets we've got our eye on: a black nylon anorak accented by an orange-and-blue-plaid flannel lining, and a slim-fitted navy trench, which can be dressed up or down. Perfect for a quick turn from PowerPoint to pints.